Carlisle United will play their first match of 2016 against Plymouth Argyle at Blackburn's Ewood Park, as Brunton Park recovers from flood damage. The League Two club's ground, close to the rivers Petteril and Eden, was flooded following Storm Desmond. 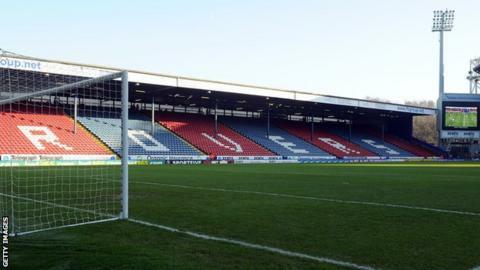 Championship side Blackburn have agreed to host the fixture on 2 January while flood recovery work takes place. Preston North End will stage Carlisle's next scheduled home match against Notts County on Saturday, 19 December. "Everyone at Ewood Park has been absolutely fantastic," said Carlisle club secretary Sarah McKnight. "They recognise that we're going through a tough time and they've been very quick to help." Blackburn managing director Derek Shaw added: "At times like this, it is important that members of the football family stick together and so we were only too happy to help out. "The damage sustained at Brunton Park must be truly devastating and our deepest sympathies go out to everyone connected to the club and to all those affected by the floods in the Carlisle community."